For almost two years now I have been using benefit brow zings to define my eyebrows, it’s been the only brow kit that I have ever used. Benefit is at the high end of the drug store market and when I received the Makeup revolution brow kit in the makeup hamper that I won I thought it would be a good idea to compare both of the kits and to see if the benefit set priced a lot higher is actually any better than the Makeup Revolution one. Having statement brows is at the foresight of many girls minds and it doesn’t have to be expensive or time consuming to do so! At a glance you can see that you get a lot more for your money with the Makeup revolution set on the right, there are more colours of powder to choose from and it still includes a mirror, tweezers and a brow brush. 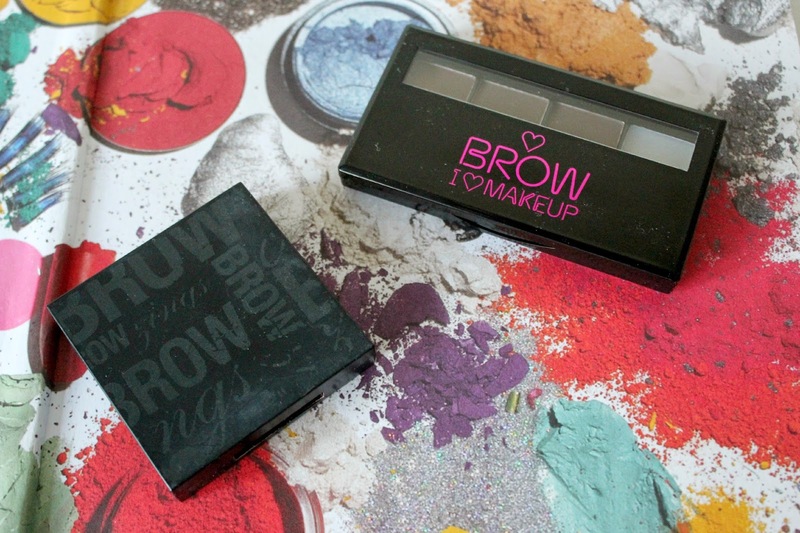 The benefit set includes the powder and the pigmented wax, the only difference is that I already know this is the colour most suited for my brows. Apart from that they both offer the same type of powders and wax for my brows. The benefit set is available in three different shades, I opted for medium and the colour suits my hair perfectly. The set contains pigmented wax, powder, tweezers, hard angle brush a blending brush and a little instruction booklet on how to use the product which is incredibly useful. I have never used the tweezers in the set as I find them too fiddly but it’s a great set for holiday which means you don’t have to carry any extras with you. I usually use the powder and the pigmented wax together and first brush it backwards into my brows and then forwards to finish shaping my brows. There is nothing difficult about using this product at all and it really does help to achieve those power brows. To finish them off I use highlighter just below my brows to make them stand out even more. Baring in mind that I got this set for Christmas two years ago, it looks like I have barely touched the surface of it despite using it almost every day, so it definitely is value for money. I have been using this set for the past week now, it really doesn’t differ much from the benefit set except that there is a few different colours of powder available and the wax is not pigmented. I have been using the darkest colour powder on my brows in the same way as the benefit set, I then go other it with the wax on top. I find that the wax holds the shape much better but it is also quite greasy which only becomes a problem if I rub my brows and the excess goes on my face, I don’t fancy getting anymore spots! But for now it is fine and the set has really impressed me for a mere £3.99. I can assume that it will last just as long as the benefit set too so it really is a no brainer if you are purchasing a brow set for the first time which one to pick. These are the swatches of the makeup Revolution set, what I do like is how the medium set contains three different colours as not everyone has the same coloured brows which makes this a much more versatile set. Nothing is worse than having darker brows than your natural colour. The benefit set is slightly different as the wax is pigmented which makes it quite a dark colour overall. Luckily it does match my brows perfectly. 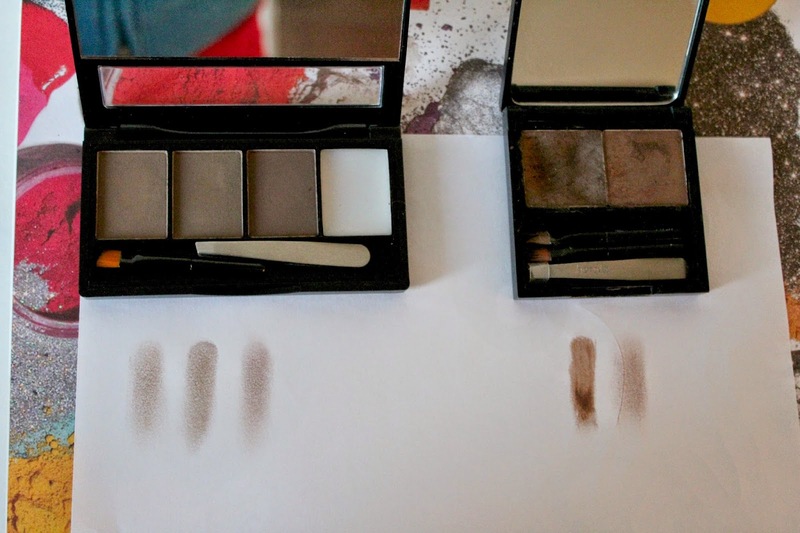 The powder is also very similar to the lightest of the Makeup Revoution powders. I think both sets are equally just as good, they do the exact same job and the lasting power once on the brows is brilliant. 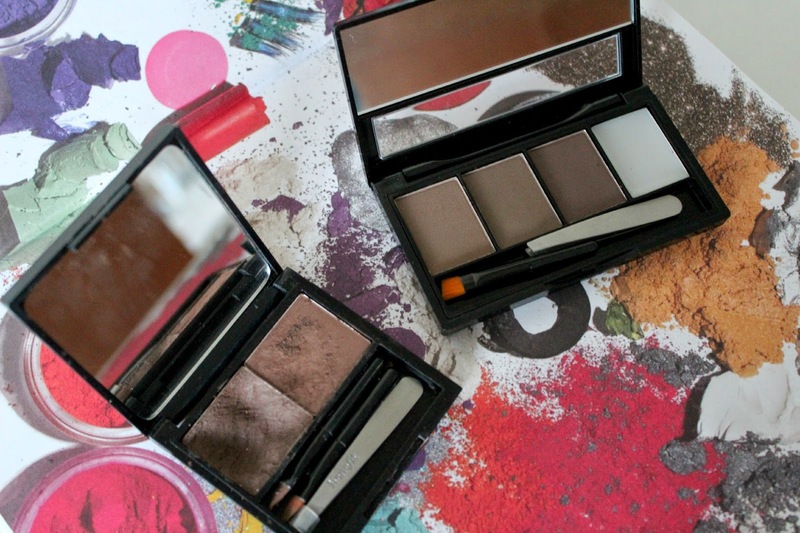 Of course it really is a no brainer as to what one i would pick in the future, the Makeup revolution set is a huge fraction of the price of the benefit brow zings. Regardless to the fact that the benefit set has lasted two years there really is no difference in the product or quality so its fair to say that makeup revolution wins this round and it can definitely be named the dupe of the benefit brow zings! What products do you use for your brows? What do you think of these two sets and which would you choose? Would you like to see more makeup comparison posts?